Your products. Native NDI support. 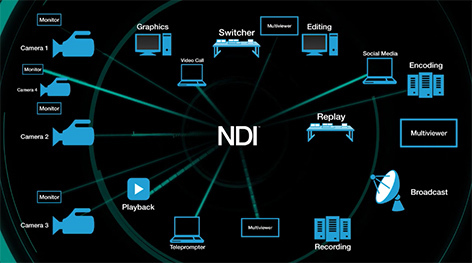 Equip your products and workflows for IP-based video production by downloading the NDI Software Developer Kit. This SDK provides the tools and resources developers and manufacturers need to integrate NDI, NewTek's innovative Network Device Interface technology, into their own systems, devices and applications. NDI is a royalty free standard enabling compatible products to share video, audio, and data across a local area network. Using refined encoding and communication, NDI allows systems, devices and applications to identify and communicate bi-directionally with one another over IP, and to encode, transmit, and receive multiple streams of high quality, low latency, frame-accurate video and audio in real time. 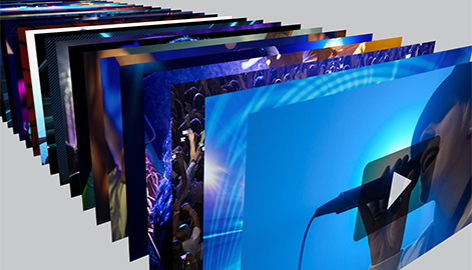 The NDI SDK provides the tools and resources for developers and manufacturers to easily add native NDI support to their video products. The SDK enables products to find, send, and/or receive video streams over IP, with an encoding algorithm independent of resolution and frame rate supporting up to 4K (and beyond), along with 16 channels (and more) of floating-point audio. It also includes tools to implement video access and grouping, bi-directional metadata, IP commands, and more. 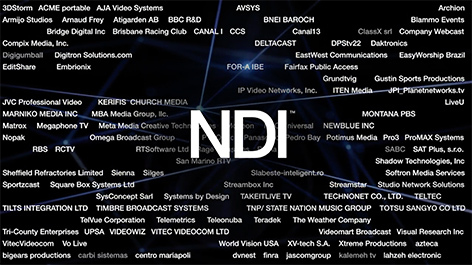 With hundreds of companies adopting and integrating NDI into their commercial video products using the NDI SDK, NDI has quickly become the most prolific IP-based workflow in the industry. Between these newly compatible products, NewTek products, and existing products from third-party manufacturers and developers made compatible through software, NDI-enabled systems, devices and applications are currently in the hands of millions of customers worldwide. Supporting modern operating systems—Windows®, Linux®, and macOS™—and mobile devices, and integrating into other IP standards like ASPEN and SMPTE 2022, NDI enables unprecedented interoperability and software-driven IP workflows. Join the industry’s largest IP ecosystem of products and the rapidly growing number of companies integrating NDI by downloading the NDI SDK today. 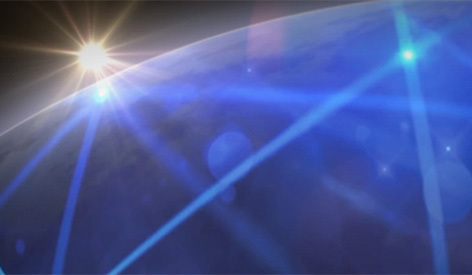 Join the largest ecosystem of IP products in the industry. Download the royalty free NDI SDK to access the tools and resources to integrate native NDI support into your systems, devices, and applications today. The NewTek NDI Embedded SDK is designed to allow you to integrate NDI into embedded devices and is an ARM based SDK, providing stream level access to NDI, FPGA implementation and full source code to allow an off the shelf FPGA dev-kit to be used as a starting point for NDI encoding projects. Download PDF version of the guide "NDI Problem Solving"
Download PDF version of the guide "Adding NDI to your Network"